For anecdotal evidence of such responses see the stance of the Tax Collector in Luke 18:9-14, and Paul’s testimony in Galatians 1:11-24. For the proclamation of this truth see Romans 3:21-26, 5:6-11 and 15-17. Stanza 3 – see Revelation 7:9-17. 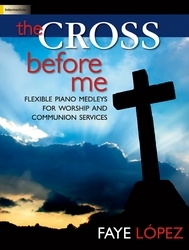 Praise to the Lord: Accessible Hymn Settings for Organ The Cross Before Me (Flexible Piano Medleys for Worship and Communion Services) STAND UP! a terrible and thrilling sacrifice. died for you, out of love for you, in order to bless you now and always. Amen. 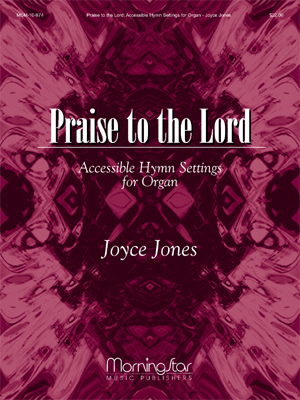 The words and music first appeared in E. O. Excell’s Praises, 1905. 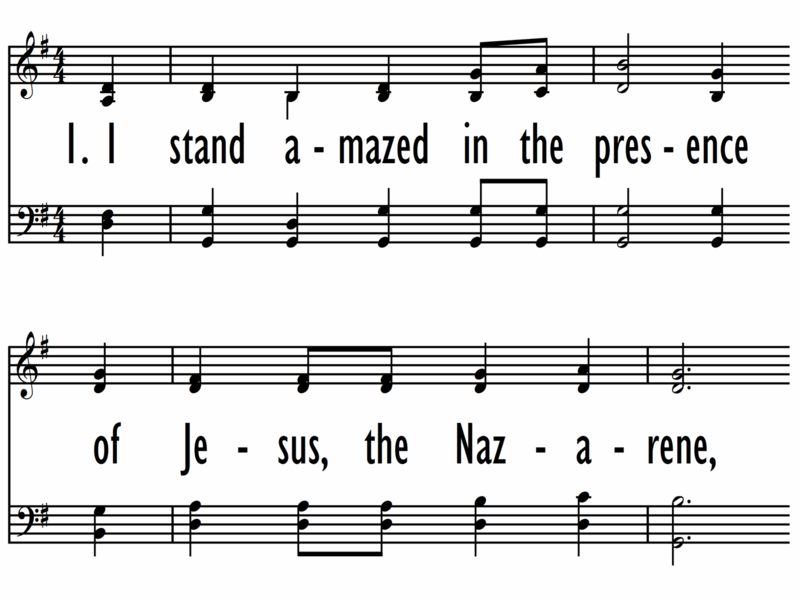 This song of gratitude and praise for the atoning death of Jesus is a personal and adventist interpretation of Luke’s account of Jesus’ sweating blood in the Garden of Gethsemane, a portion of the passion narrative not included in the other Gospels. For the first seventeen years of his life Charles Hutchinson Gabriel (b. Wilton, IA, 1856; d. Los Angeles, CA, 1932) lived on an Iowa farm, where friends and neighbors often gathered to sing. Gabriel accompanied them on the family reed organ he had taught himself to play. At the age of sixteen he began teaching singing in schools (following in his father's footsteps) and soon was acclaimed as a fine teacher and composer. He moved to California in 1887 and served as Sunday school music director at the Grace Methodist Church in San Francisco. After moving to Chicago in 1892, Gabriel edited numerous collections of anthems, cantatas, and a large number of songbooks for the Homer Rodeheaver, Hope, and E. O. Excell publishing companies. He composed hundreds of tunes and texts, at times using pseudonyms such as Charlotte G. Homer. The total number of his compositions is estimated at about seven thousand. Gabriel's gospel songs became widely circulated through the Billy Sunday­-Homer Rodeheaver urban crusades.